Emergency crews in North Haven are searching for a missing person in the area of Banton Street due to flooding of the Quinnipiac River, according to the North Haven Fire Department. 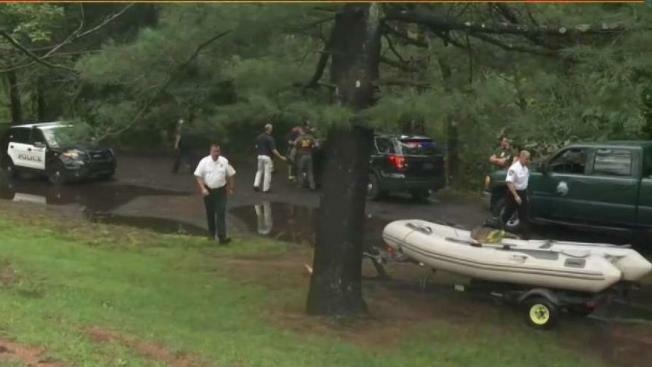 Emergency crews in North Haven searched for a man on Wednesday in the area of Banton Street due to flooding of the Quinnipiac River, according to the North Haven Fire Department. The fire chief said they rescued a man who was living in the woods from a flooded area of Banton Street after 7 a.m. and he said he was concerned about another man who lives along a trail in the woods. Firefighters and police are searched the area adjacent near Route 15 on foot and with a drone. Crews from the state Department of Energy and Environmental Protection helped with the search. After several hours, North Haven police said they were unable to locate anyone.